We have a team of qualified service technicians standing by to help you with any of your service related needs. From oil changes, tire rotations, brake pads or transmission problems, we’ve got trained technicians who are able to help. 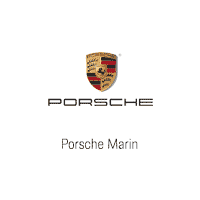 Please use the buttons below to schedule service at Porsche Marin or contact our Service Department. You can also call us at 415-949-5279. Text “SONNENPORSCHE” to 40491 to schedule an appointment, ask a question or communicate with a Service Advisor. Porsche Marin technicians are trained at dedicated Porsche technical centers, where they develop unrivaled expertise in all aspects of maintaining and servicing Porsche vehicles. The training courses are detailed and very demanding – only the best technicians are graduated and then certified. It’s worth noting that only technicians from Porsche dealerships can participate in this official Porsche training. And only a Porsche dealer has the complete set of specialized Porsche tools and computerized test equipment needed for the best, most accurate repair and maintenance.